What causes vertigo is sometimes a mystery, but researchers do know that the primary part of a person that is affected is the Vestibular System which is responsible for balance and orientation.3 Fluid in the ear canal works together with the brain and spinal cord to maintain balance. When this process is interrupted, vertigo occurs. 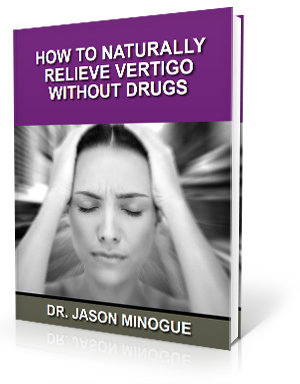 Vertigo has become a newsworthy medical condition since Jason Day collapsed during the second day of the US Open golf tournament. The pro golfer from Australia has suffered from vertigo since 2010. 4 Day takes medication in order to combat the condition while playing professionally, and shot 6 under par on the day the incident occurred. Dr. Minogue is a specialist in realigning the C1 vertebrae. A consultation may be your first step in long-term, natural relief from your vertigo symptoms. Friedman M, Hamid MA, Samy HM.. Dizziness, Vertigo, and Imbalance.. http://emedicine.medscape.com/article/2149881-overview (accessed 29 May 2015). Busbee J. Jason Day’s vertigo update: ‘I’m not thinking about falling over on my face again’. http://sports.yahoo.com/blogs/golf-devil-ball-golf/jason-day-s-vertigo-update—i-m-not-thinking-about-falling-over-on-my-face-again-164446234.html (accessed 17 June 2015).